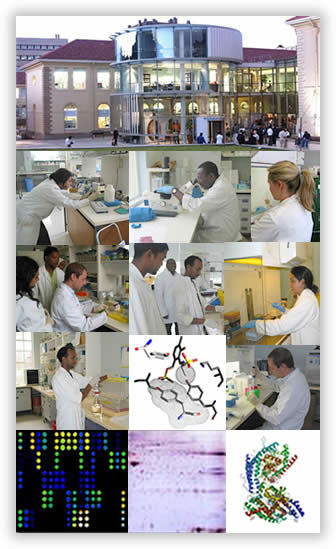 The Division of Medical Biochemistry is a preclinical, basic science division within the Department of Integrative Biomedical Sciences at the Health Sciences Faculty of the University of Cape Town. 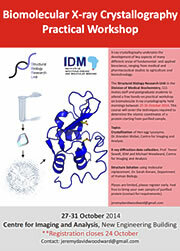 The Division of Medical Biochemistry was established in 1978. The Division is housed in Wernher and Beit North Building which is part of the building complex of the Institute of Infectious Disease and Molecular Medicine which is located on the Medical Campus. The Division consists of seven Senior Academic members, eight Post-doctoral Fellows and seven Technical and Support Staff. The Division of Medical Biochemistry has 50 Postgraduate students who are enrolled in the Honours, MSc or PhD programmes the Division offers. The Structural Biology Research Unit in the Division of Medical Biochemistry, Department of Clinical Laboratory Sciences has been successfully accredited by the URC.